Baumit StarColor is a high quality, ready-to-use premium silicone resin facade paint with high opacity and excellent processing properties. 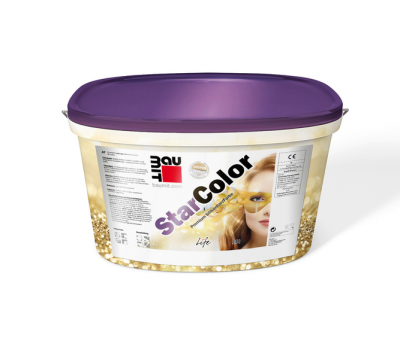 Baumit StarColor is extremely water repellent and therefore especially recommended for the base area. The prime coat is made by dilution of paint with 10 to 15 % of water. After drying for app. 12 hours, 1 to 2 top undiluted coats are applied. Consistency can be modified, if necessary, by adding of max. 5% water.